Mint is an online tool that we have found and recommend that you have a look at. Set a budget, track your goals and do more with your money… and the best thing is that it’s free! See all your balances and transactions together, on the web or your phone. 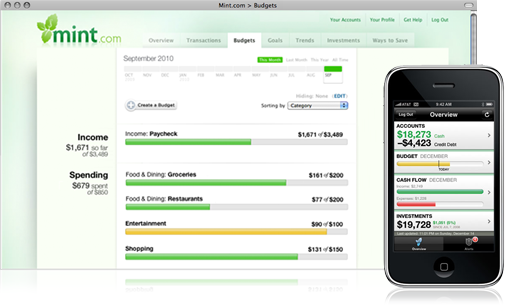 Mint automatically pulls all your financial information into one place, so you can finally get the entire picture. For more information click here to visit the site and learn more about Mint.